Orchid Project are delighted to share Hibo Wardere’s most recent interview on BBC’s Radio 4’s Women’s Hour. In conversation with presenter Jane Garvey, Hibo explored how her work as an FGC campaigner and activist has developed since her last appearance on the programme in April 2016. Hibo’s experience of being cut at the age of six in Somalia, first shared in her original interview, was initially revisited to remind listeners of the everyday reality of living with the devastating impacts of FGC. 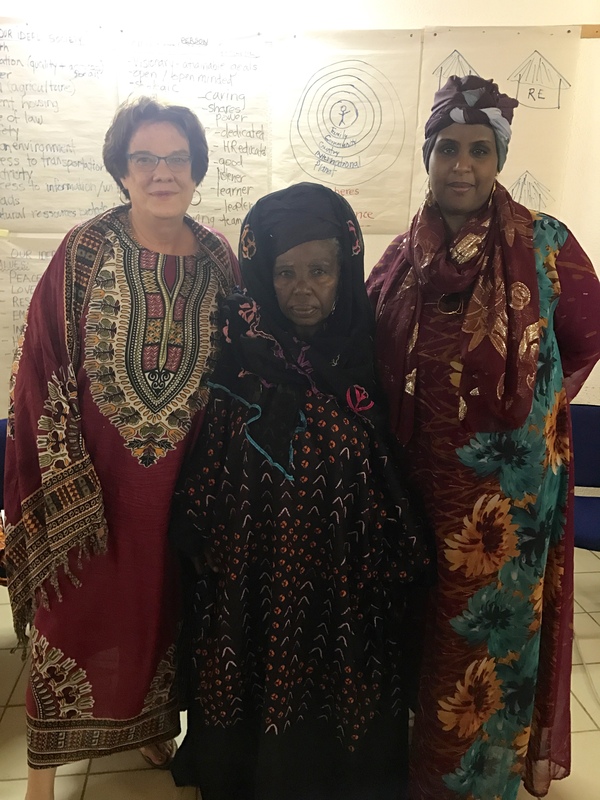 As those of you who have followed Hibo’s journey will know, her recent visit to the Tostan Training Centre (TTC) in Senegal, supported by Orchid, was her first time returning to Africa since she left aged eighteen. As she describes in the interview, the trip was emotional for many reasons. 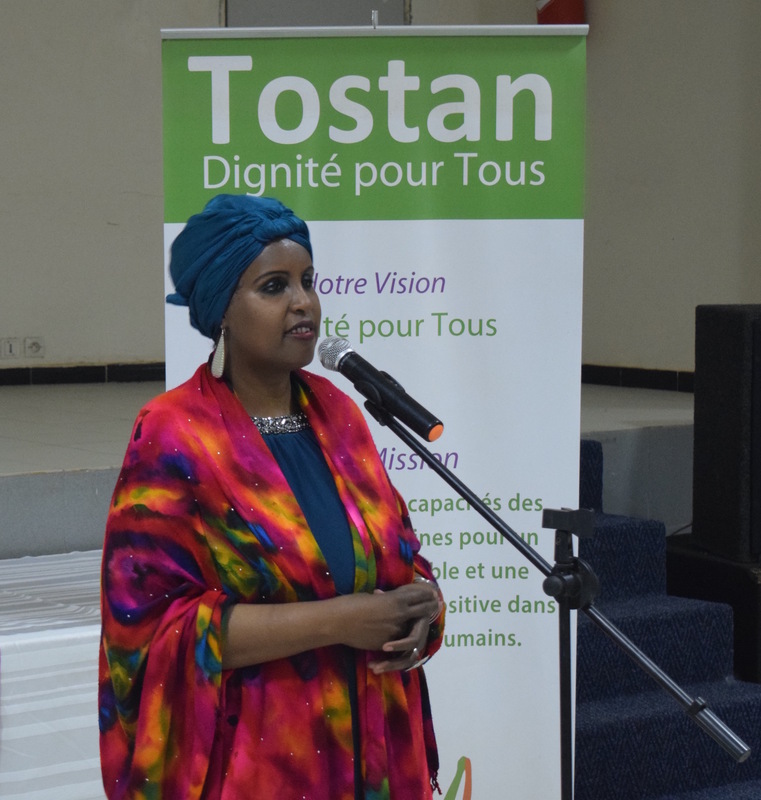 As well as providing the opportunity to learn about Tostan’s human rights based approach to community-led change, it also offered Hibo the chance to reconcile with her beloved Africa, whom she had blamed for her years of suffering. A major part of this reconciliation took place at the TTC when Hibo met a former cutter, Oureye Sall. Oureye Sall now works to spread the message of FGC abandonment. As Hibo describes in the interview, this was an incredibly emotional experience, and one which highlights the psychological trauma that the practice entails. It was upon hearing Oureye Sall’s own story, in which she is also the survivor of harmful traditional practices including FGC and child marriage, that Hibo began to overcome this. Despite their differences, she realised that ‘you were just like me’. The two survivors, who now use their own experiences to educate others, were able to embrace. Since that moment, Hibo is no longer burdened by the nightmare of running away from her cutter, which had haunted her throughout her life. In Hibo’s own words, the visit to Senegal was ‘the most amazing ten days of my life’. Orchid Project is proud to have supported Hibo to attend the training. It will support her work as an FGC campaigner and activist through a new understanding of human rights and social norms change. 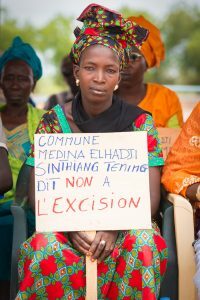 Hibo’s first-hand experience of visiting communities that have abandoned FGC, such as Keur Simbara, has also further re-enforced her belief in the importance of a holistic approach to ending the practice. In addition, Hibo and Jane also discussed the incredible event that took place in Senegal on Sunday 14th May: 117 communities uniting to collectively declare that they will no longer cut their daughters. This brings the total number of communities to have declared abandonment of FGC in West Africa to over 8,000. This evening, Hibo will find out if her brilliant book ‘Cut: One Woman’s Fight against FGM in Britain Today’, has been short-listed for the prestigious Orwell Prize. Orchid Project wish her every success, and know that she is most deserving of this wonderful recognition.